"Life's What Happens" by Kathy Clark and Alan Parker encapsulates what happened in 1969 and 1970 to a generation of young people whose lives were irrevocably changed as a result of the first draft lottery in the Vietnam War. We begin and end the story in the present day, seeing some of the characters as they reunite at the Kent University Campus under mysterious circumstances. Their memories and their feelings on revisiting University now that they are so much older and wiser are very poignantly and beautifully portrayed. Those of us of a certain age can all sympathize with Don’s feelings of being invisible to today’s youth. The rest of the novel is the flashback to the fateful time shortly before and after the draft. From party-going youngsters out to have a good time and fit some study in, they are forced to grow up overnight and face huge responsibilities. Some cope, others don’t. Some act wisely, others panic and become victims of their circumstances. There are triumphs and tragedies, happy and sad endings. This is such an atmospheric novel, cleverly helped along by naming each chapter after a pop song of the period. The authors spare no detail and effort in recreating settings and sensations from the period in question. These range from the minutiae of fashion to the political background to all the turmoil that invades the students’ lives. It seems to be done effortlessly on their part but it calls on great skill and writership qualities to be so evocative. We feel we’re there in all the action, sharing the fun and then the tension and horror or the situations that arise. All the characters we meet are believable and persuasive, both as youths and their older selves. It’s not always easy to maintain interest in a large group of protagonists in a novel but these authors achieve this well. This is a gripping read, with its educational, historical, imaginative and very human ingredients. Brilliant writing. Don Williams returned to Kent State University in September of 2012. He drove the candy-apple red Mustang through the campus thinking back on his days as a student. He had returned to meet with Jennifer Kist an attorney. He sadly remembered the old hang outs that were gone. He pulled up to the frat house taking in the students and how different they were 30 years previously. Inside there were photos on the wall like ghosts of the past looking back at him. The memories of the past came flooding back to the year of 1969. The U.S. was involved in the Viet Nam War. Over 2 million men had been drafted between 1960-1970. The nation changed to a lottery draft. "It was truly a matter of life and death." "This is the story about nine young men, their friends, family and girlfriends and how one night changed their lives forever." A death brought the frat brothers back together, an inheritance would keep them together. On May 4, 1970 the students at Kent State University protested the draft and the war. The Ohio National Guard shot and killed 4 unarmed students killing them and injuring 9 others. Some of the students were bystanders watching the protest. The response to the shootings was a strike at many universities across the nation. Authors, Kathy Clark and Alex Parker have done an amazing job of bringing the era to life on the pages of this book. Too often such events are looked back on, shoulders shrugged and no more thought given. However, Parker and Clark remind readers of the dreadful day students were senselessly shot and killed. They paint a different view of the event with carefully crafted characters. Baby boomers and those interested in history will want to soak up the knowledge found within these pages. This is a tale you will not want to miss. I've never been a big fan of reading about the Vietnam War. I've just never been into it. But authors Kathy Clark and Alex Parker make the journey back to drafting for Vietnam an exhilarating experience, to say the least. Each character had their own story to tell. And while they were all centered on the draft, their stories were each unique and captivating. Stories of love, life on a college campus, living with fraternity brothers and a life of partying. Those stories all pulled together to create a large, colorful picture. It really was interesting to see each character in their own element, but then pulling into the larger portion of the story and how the draft changed them. I will never look at the Vietnam war the same way again. This book will open your eyes to the intensity of life during this dream altering time. I didn't think I would actually enjoy reading a book like this but it moved me in so many ways. From characters that still your heart to writing styles that will captivate you, this is one awesome read. Thank you Kathy and Alex for an incredible read!!! Authors Alex Parker and Kathy Clark allow the reader to go on an inside journey of the experiences on a local college campus when the draft of the Vietnam War takes place. In the book, "Life's What Happens" you are allowed to see the good, the bad, the happy and the sad when this event occurs within the lives of these students. While approximately 850,000 men's lives were changed by the lottery draft, this book allows you to see and feel how it affects those on the campus at Kent State. This book reaches into the hearts of nine young college men who will forever be impacted. Their friends, girlfriends, parents and families are greatly stirred by what is happening both around them and to their loved one. There are stories of how these young men find love, live in a frat house, and experience the understanding of a house mom who reaches out to help guide them along this journey. There is the priest of the school who eats with them and tries to influence them in a positive manner. Living in this local college town community builds a close bond with the local business owners, which help these young men and women while away from home. While I enjoyed the premise of the book, I do wish it had been shorter in length. I got a little weary of too many stories leading up to the portion about the draft. While I understand the need for the stories of various students, I feel that it could have been written tighter and still been just as effective. It's 2012 and Don Williams drives his rented Mustang convertible through the Kent State University campus and the surrounding town to where he once lived at the Phi Psi Kappa house. He remembers back to the school year 1969-1970 when he was a student member of Phi Psi Kappa, a Kent State University fraternity housed in what was once a funeral home which had been bought and given to the fraternity by benefactor Brendan Harrigan. Kent State was a quiet, small university and was known as a suitcase college back in 1970 for most of the college students went home on weekends. The members of Phi Psi Kappa include, besides Don, Ted whose wealthy father expects much of him, Frank whose father is in with the Mob, Kevin who has been a student for more than the required four years, Ben or Bozo who is the fraternity head, Jeff who has a heart defect and owns a nasty, troublesome monkey named Carlos, and other memorable young men who study, drink and go about their young lives. But the war in Viet Nam continues and some of the Kent State fraternities are arranging for job deferments from the draft. However, in November, at Thanksgiving time, President Nixon signs the Executive order for Selective Service. The Phi Psi Kappa guys are mostly 1A or hold student deferments but with the upcoming "birthday" lottery, they know they'll be called into the armed forces. The Weatherman, Students for a Democratic Society and the Black Panthers begin arriving at Kent State and their protests against the war increase. The Kent State University massacre is well-known in history but how will the young men of Phi Psi Kappa fair in the midst of all this? "Life's What Happens" is the well-written and very poignant retelling of the days leading up to the notorious Kent State debacle. It tells of the lives of real people like Don and his fraternity brothers as they are drawn into the Viet Nam conflict from the safety of their college days. Colored pictures of the fraternity men and the girls they are dating are shown at the book's beginning along with a map of the campus at that time. The characters of Ben, Don, Frank, Fred, Barry, Jeff, Alonzo, Ted and all their fraternity brothers and the incoming pledge class are totally believable and the building of suspense and tension as Kent State's campus is infiltrated with protesters is done well but without partiality. 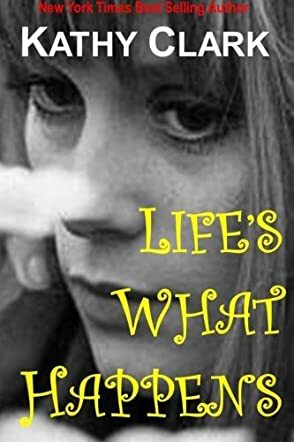 "Life's What Happens" is a book that everyone will want to read, especially those who remember the tumultuous times of the late 1960's. Names of popular songs of the era at the head of each chapter lend a feeling of authenticity.